The kids are back in school, friends are back to their busy lives and couples are back to work – now that the summer holidays are over, it’s hard to see as much of each other. Luckily, you took a ton of photos together this summer! Use these photos to stay connected. Take a look at the ideas below for some creative ways to create mementos that fit perfectly together, just like you and your loved ones. It might have been impossible to get them to hang out together on the beach, but with a couple pieces of creatively displayed wall decor, you can bring them together at home! 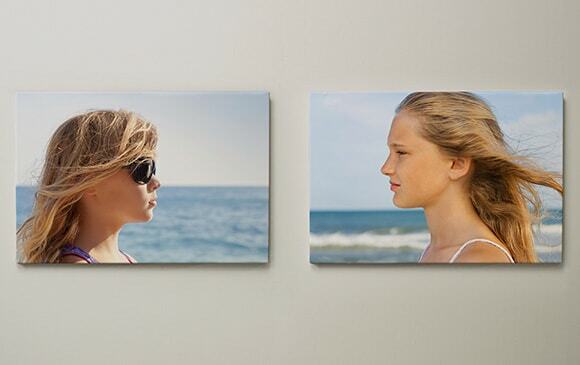 Play around with your photos and make your wall art ‘talk to each other’, like the profile shots in the example above. After your holiday, you and your 4 friends have all gone back to your sperate lives. But you still have the photos you took to remind that no matter where you are, you can always follow your feet back to each other. 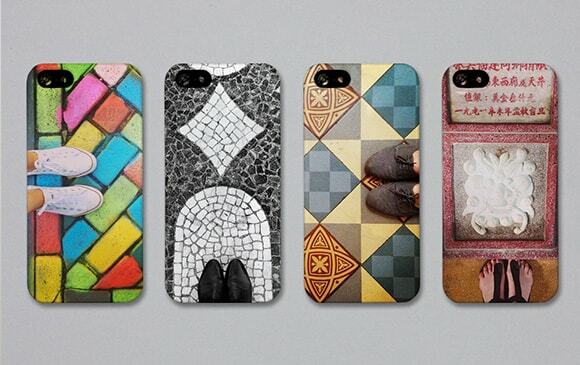 Make different but matching phone cases that remind you of your holiday together. Your holiday with your sweetie has come to end… Create two mugs that can stay together at home while you two are at work! Split a photo of the two of you holding hands, dancing, etc. 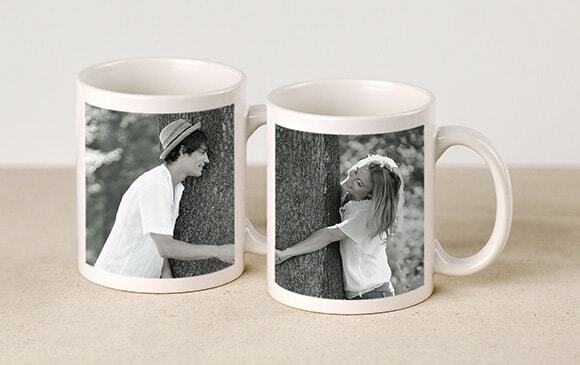 and upload your photos to two mugs. Want a guarunteed way to stay connected? Create matching products – keep one for yourself and give others away to family and friends! 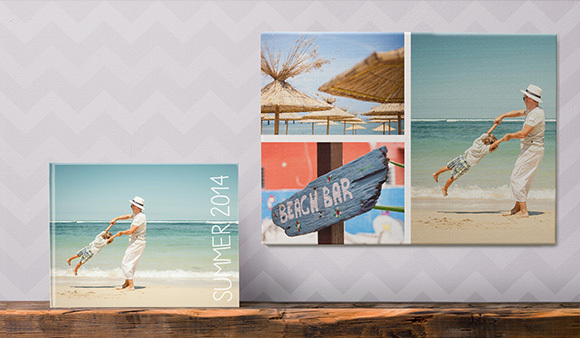 Create wall art for your home and give a matching photo book to someone else. Top tip: You can also make create matching products to spruce up your home. Make a photo book for the coffee table and a canvas on the wall!